Saint Louis, February 15, 2011 — All but two spots have been confirmed for the 2011 U.S. Chess Championship, scheduled to be held concurrently with the U.S. Women’s Championship in Saint Louis April 13-28, and two significant surprises have helped shape a dynamic field that will compete for more than $166,000 in prizes. Two-time U.S. Champion GM Hikaru Nakamura, currently ranked number one in the U.S. by rating, declined his invitation to play in this year’s championship, citing a desire to focus on working toward his ultimate goal of one day winning the World Championship. The other surprise: GM Yasser Seirawan, a four-time U.S. Champion and former World Championship contender, has accepted a wild card invitation. Seirawan, who hasn’t played a major tournament since the 2003 “Kings and Queens” match in China, cited two reasons for his interest. Reigning U.S. Champion Gata Kamsky, who is scheduled to take on Bulgarian GM Veselin Topalov in a World Championship Candidate’s Match in May, will defend his crown. Kamsky said he felt the strong field at this year’s U.S. Championship would serve as an excellent primer for his match against Topalov the following month. The second wild card invitation was accepted by the GM-in-residence at the Chess Club and Scholastic Center of Saint Louis (CCSCSL), Ben Finegold. Ten players will compete for the final two invitations to the 2011 U.S. Championship at the Saint Louis Invitational, a round-robin tournament scheduled to be held at the Chess Club and Scholastic Center of Saint Louis March 4-9. In addition to the two invitations, the players will compete for more than $10,000 in prizes. The Saint Louis Invitational will overlap the Bill Wright Saint Louis Open, a strong open tournament that will be held at the CCSCSL March 4-6 and will feature more than $7,300 in prizes. In addition to the intense tournament action offered by these two prestigious events, tournament organizers will once again host a $10,000 Blitz tournament April 25 that will feature players from both the U.S. Championship and the U.S. Women’s Championship. Individual tickets to the Opening and Closing Ceremonies are available for $25 apiece, and individual rounds can be accessed for only $10/day, which includes refreshments, access to live grandmaster commentary and access to the tournament playing hall. 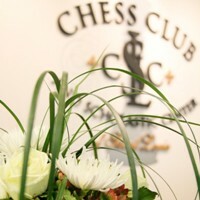 For more information, please visit www.saintlouischessclub.org.